Hi! 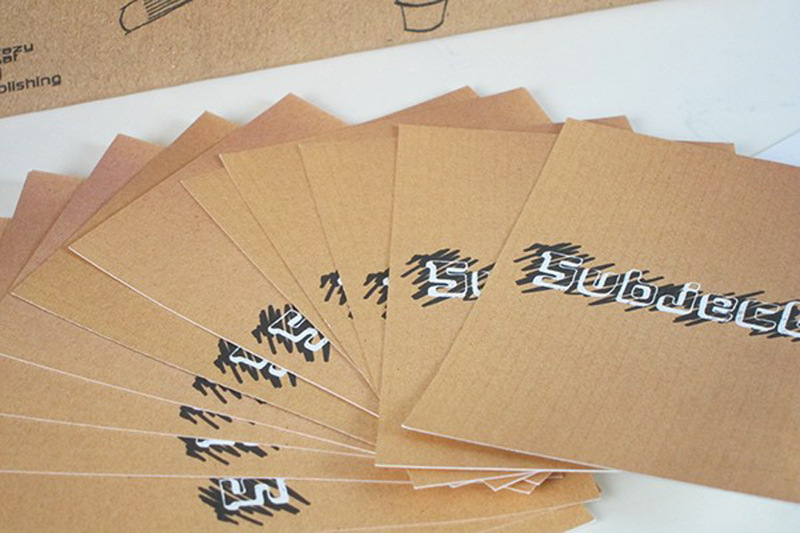 I’m Sara Eusch, a graphic and web designer currently based out of Wisconsin, USA. I obtained my BFA in Design and Visual Communication from the University of Wisconsin-Milwaukee in May 2015. Prior to my time at UWM I attended Southern IL University-Carbondale, in Carbondale, Illinois. During my time at SIUC I took several graphic design courses. One course featured a semester long project where I was tasked with creating a board game-from scratch. 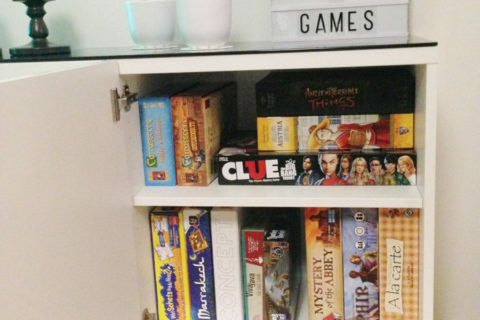 This is the story of how that board game came to be! 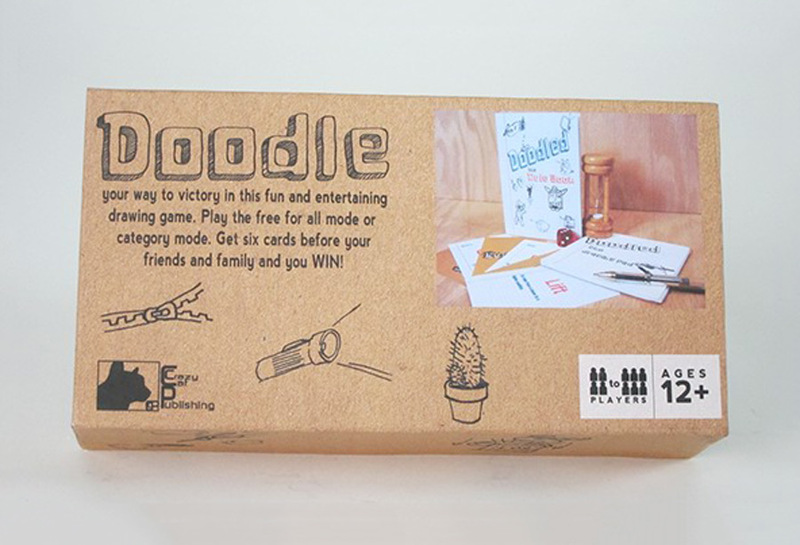 Doodled is a fun and creative drawing based card game. It has two different modes: Free For All or Category. In Free For All, players draw based off any of the categories, while in Category players draw only from one of the three categories: Skill, Word, or Subject. 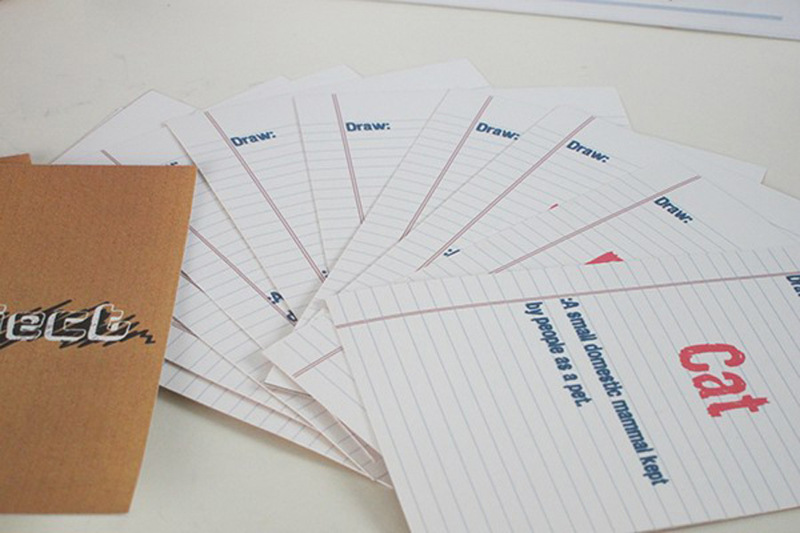 The object of the game is to obtain six cards before the other players. To do this one must doodle their way to victory! Before I landed on the idea of Doodled, there was a lot of research. First we (my class) did a game night where we played all sorts of different board games and filled out a playcentric worksheet. We rated different qualities of each game such as the objective, goals, and rules among many other things. Outside of this, I also did some market research to see what type of games where currently selling well in stores. Along with that there were mind maps, countless world lists and finally a design concept. 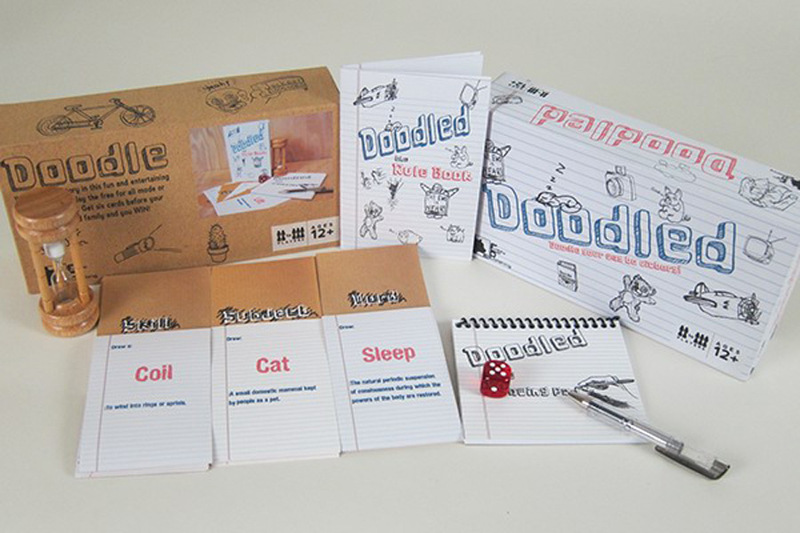 Doodled is based off of two very popular games: Apples to Apples and Pictionary. Both of these games had aspects that I really loved and in my own way incorporated them into my game. Initially the card designs were just color. I had thought this would keep it simple and easy to pick out the different types of categories. Eventually I came up with a unified design using a notebook/legal pad theme. 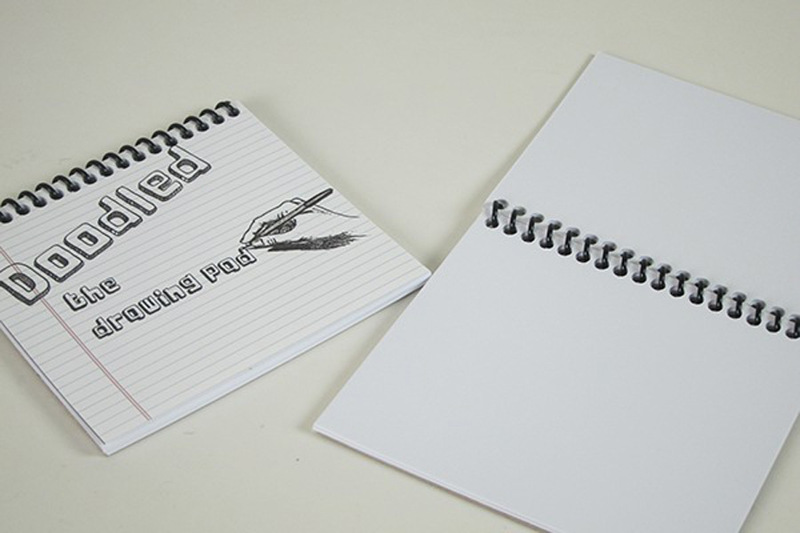 The front of the card would have the notebook/legal pad while the back would have a textured design like a notebook or legal pad has. After creating the card prototypes with this design and going through several critiques I decided to add a bit to the back of the cards since it felt too plain, which is where the “sketched” scribble like marks came into play. This final design came with an increase in card size too. They went from 3.5x2in to 4.5x3in. 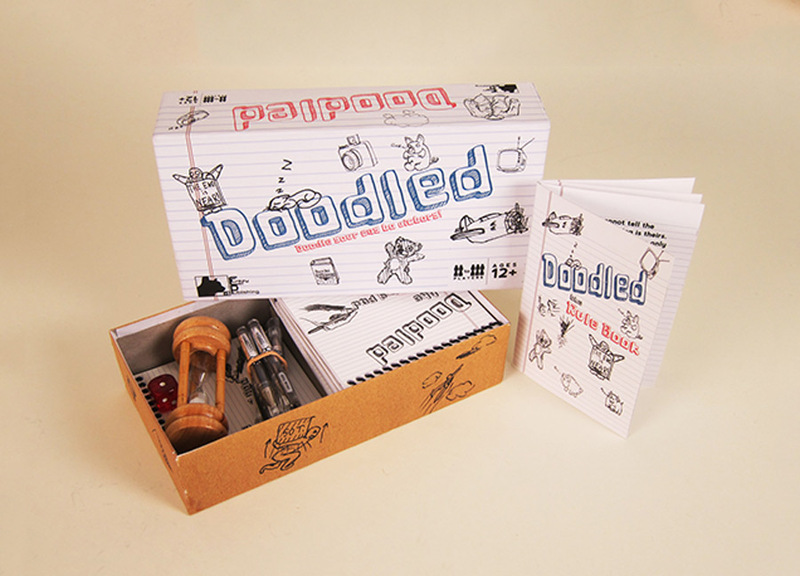 As for the packaging, Doodled was initially in a larger box. But after several critiques the size was modified for to a smaller more compact size. For the graphics, I knew I wanted to stay with the same unified design as the cards so they keep the notebook/legal pad theme. To contain the cards in the new smaller sized box there was a holding system placed which allows the cards to be stacked in opposite order- vertical, horizontal and vertical. This takes up half the box while the notepads the players draw on takes up the other half with the rest of the game components. At the end of the semester after numerous critiques, revisions, and countless hours my board game was finished and ready to be played at an open game night for the public of Carbondale, IL. 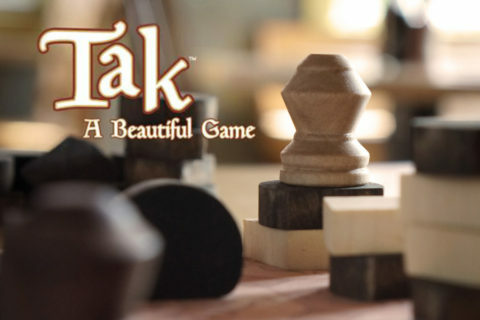 Overall my game got fairly good feedback which was very encouraging news. I thoroughly enjoyed this project from start to finish even when it got challenging. What I enjoyed most was creating a design that public enjoyed to look at and play with.